Assam’s oil city with a history going back to the early 18th century, when oil was first discovered in the area. The place still continues as a tiny island of Raj culture. Digboi boasts of two modern wonders of the world, a hundred year old oil-field still producing and the world’s oldest operating oil refinery and also British life-style complemented by clubs and Golf Courses. This place is well connected by road, rail & air communication. NH-38 runs through Digboi. The nearest airport of Dibrugarh is 65 km from Digboi. A/C and non A/C deluxe coaches ply regularly from Guwahati to Digboi both day and night. 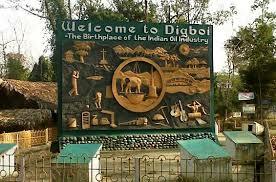 Digboi oil-field is not just an oil-field, but an oil museum and a wildlife sanctuary of surpassed beauty. One can stand near the continent’s oldest oil well– the Discovery Well completed in 1889 AD. In the evening you may also bump across a herd of elephants or a royal Bengal Tiger, besides some rare species of birds. This sanctuary is a safe haven for extremely rare white winged wood duck and many migratory birds. Speciality of Dibru Saikhowa is it’s wild horses, called Feral Horses. The most dramatic event in Digboi’s history took place during the World War II days when the belligerent Japanese got closer and were within three days marching distance of Digboi. These images come back as one kneels at the headstones at the Digboi War Cemetry, praying for a young life nipped in the bud at battle in a strange land far, far away from home. 14 kms east of Digboi, this is the centre of Tea Gardens, Plywood factories and coal mines. 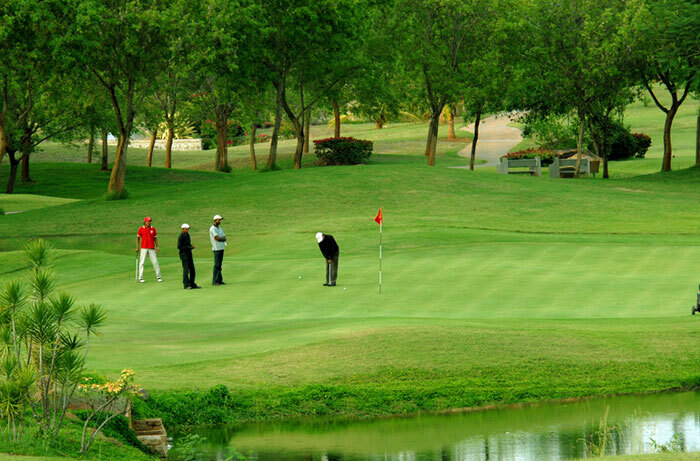 Digboi has an 18 holes Golf course considered the best in the entire upper Assam, where all important tournaments are held. 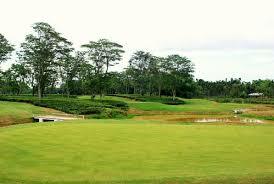 There are 8 other 9 hole Golf courses with tea estates between Dibrugarh and Doom Dooma.